Halloween Time has concluded at the Disneyland Resort, and it's already time to make way for the holidays. 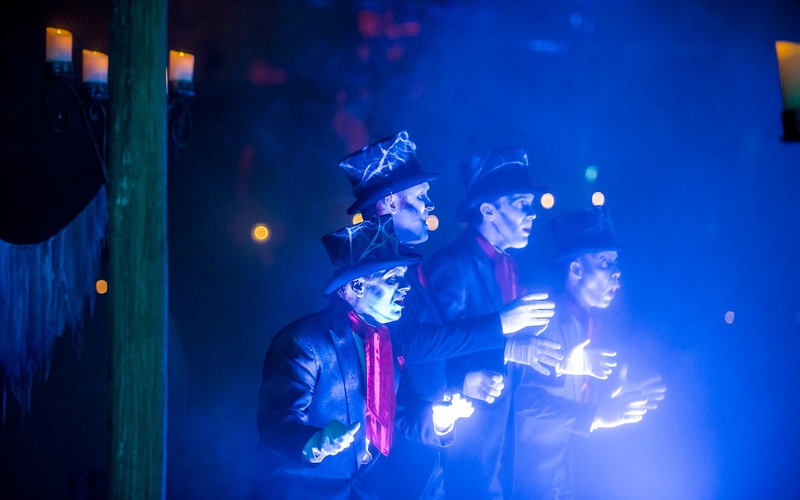 But I'm a fan of Halloween in general, and I'm not quite ready to give up my favorite holiday yet, so we'll end the weekend with one last look (this year at least) at the Cadaver Dans, the undead version of the Dapper Dans of Main Street. 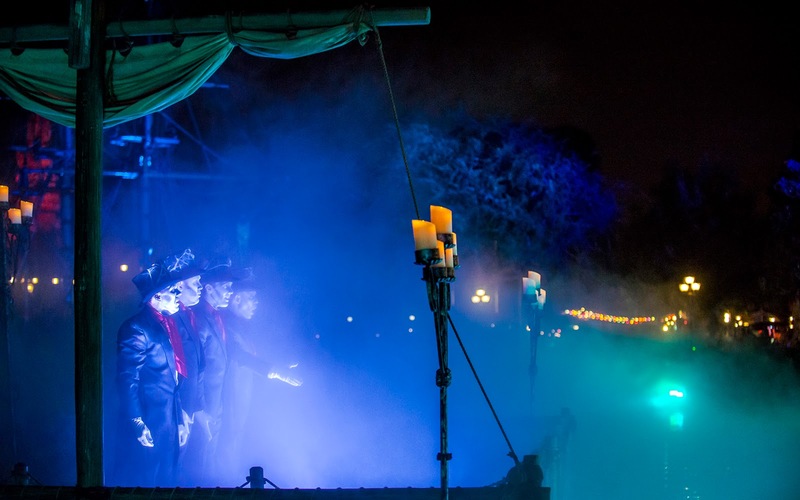 Floating along the eerie, fogged out Rivers of America, they sing classic spooky tunes while bathed in a pale blue light that enhances the macabre nature of this ensemble. But they make for great photographic subjects! The Cadaver Dans sing in harmony along the Rivers of America. The S.S. Columbia sits docked in the mist in the background.